Performance Tyres – a gripping read – Tyre choice is important, it is the only thing in contact with the road surface and therefore the most important component when it comes to the handling and stopping power of your car. Low profile performance tyres can improve high speed stability, steering response and braking efficiency. 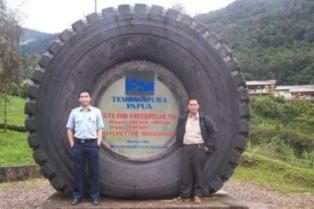 We’re not going to go into how a tyre is made and its construction (how boring is that?). We will however explain what the important lettering and numbers mean. 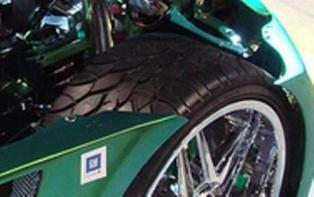 ECE type approval mark, which means the tyre conforms to the European Regulatory Authorities approval. Don’t mix different types of tyres such as radial with cross-ply, also stick to the same tyre pattern all around. This is most important especially when braking in the wet, if you have more grip in the front than the rear or on one side than the other, it doesn’t take a genius to work out that your braking will be unstable. If you have a 4wd vehicle putting the same tyres on all 4 corners is most advisable, it’s possible to damage your transfer box if you don’t. Don’t bother with remoulds or retreads (it’s just not worth it on a performance car), part worn are ok, but you get what you pay for and you need to find the right one (with equal tread) to match your other tyres (see don’t mix your tyres above). New performance tyres from unknown brands – buy at your own risk, we say stick to the known and trusted, as they may look similar, but the compound of these cheap imported tyres are usually inferior. Usually if you have 2 new tyres fitted you should put them on the rear. 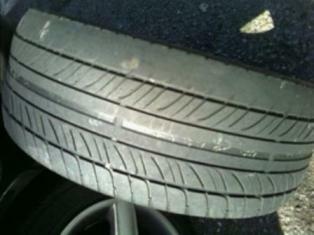 As front tyres tend to wear out quicker (unless you have a heavy right foot and a RWD car! 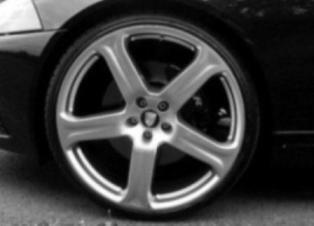 ), we would generally dispence with the worn fronts and move the now part worn rears to the front. This is because demonstrations have shown that a loss of control at the rear from a skid or blowout etc is more difficult to correct than at the front and by having the best tyres placed at the rear will reduce this from occuring (of course this advice is based on you losing control in the first place and your level of driving skill, there are too many variables that can occur to alter this advice, but in general this is deemed the most appropriate for the masses). Also to note is that under braking, your cars weight is transferred to the front, which reduces weight at the rear, therefore (although it seems counterintuitive) the more tread on the back tyres the less that lack of weight will cause a loss in traction (hope that makes sense?). Don’t bypass getting your wheels balanced when putting new tyres on either. 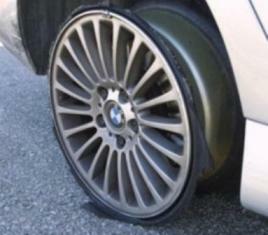 Incorrect tyre pressure can increase fuel consumption, tyre wear and rob horsepower. You should check your tyre pressure when the tyre is cold. Check for nails, bumps, splits and uneven tyre wear (uneven tyre wear can mean either the suspension geometry is out, the wheel alignment is out, or the tyres have incorrect pressure) – (or for those boy racers out there, you go round the corner too damn quickly too often!). 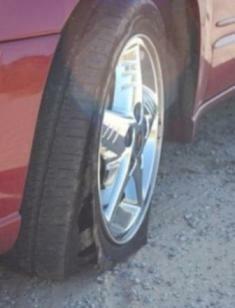 Poor condition tyres can cause blowouts. 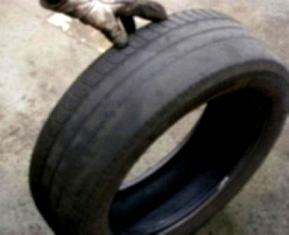 Tyres can also deteriorate with age and have been known to blowout and shred themselve due to their age. 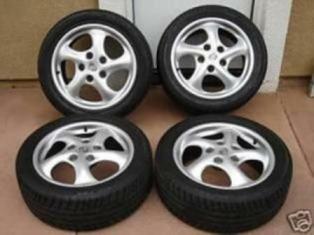 We would also recommended that you have a wheel alignment (tracking) carried out every time you get new tyres fitted. Almost Certainly Due To The Tracking Being Out. There is a legal minimum amount of tread depth required on a tyre of 1.6mm in the UK. 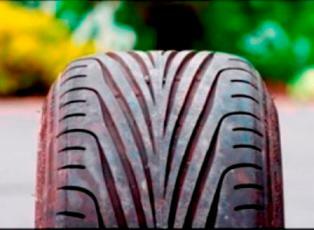 75% (3 quarters) of the breadth of the tyre, around the entire circumference must have this minimum tread depth. 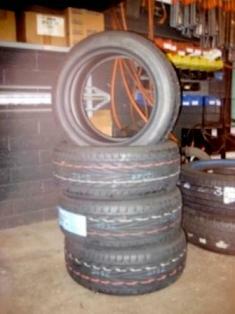 All tyres have a tread wear indicator to help judge this. 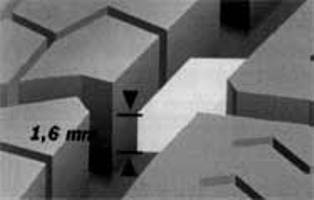 It is also recognised by some that even 1.6mm is still too little. There are high fines for not complying. Basically, lower profile performance tyres with a stiffer side wall and a softer compound will improve your cars handling, high speed stability, steering response and braking efficiency (depending on the road surface – can be less stable on uneven surfaces and bad weather). Also be aware that it is the tyres that cushion the unsprung weight (weight of the tyres, wheels, brakes and a percentage of the weight of the suspension components). By lowering the profile you are reducing the amount of flex in the tyre wall, keeping the tyre more planted with less roll. The use of softer compounds also gives better grip adhesion on the roads surface. Performance tyres come in all types of rubber compounds and patterns, their softer compounds will increase road adhesion. However some will be better in the dry and others better in the wet. It’s important to consider when and for what you are purchasing your tyres for. There’s no point in buying a tyre designed for high performance in the dry if the cars a daily driver, you’ll just regret it when you lose your car in the wet. Combining wheels and tyres may save you some money, there are many companies out there selling wheel and tyre packages just for your car. As always, when it comes to something that affects safety, we recommend you seek professional advice for your particular car or application. Stick with known brands and don’t get carried away. Remember your brakes may stop the wheels from rotating, but it’s your tyres that stop the car from moving! Wow! – a set of 4 please!